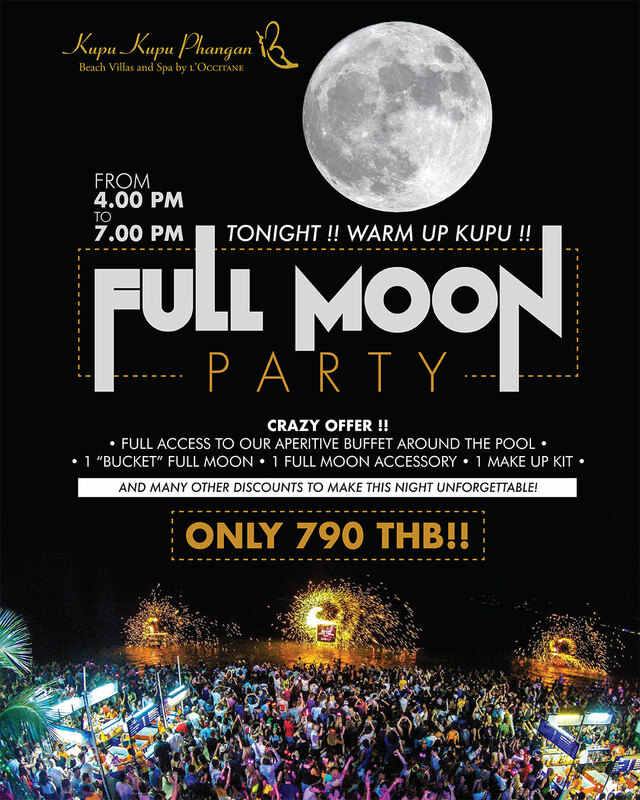 Koh Phangan is internationally famous for its unforgettable party, the Full Moon! Since many years, this event gathers more than thousands of people coming from the four corners of the world and party all night long on the beach. 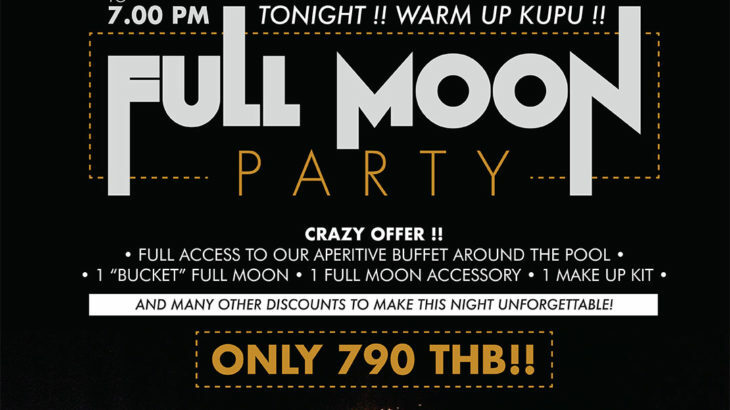 On this special day, come to meet us at Kupu Kupu and enjoy our Full Moon Warm Up from 4 to 7 PM. Picture yourself in the infinity pool, listening music, sipping your cocktail or your bucket and tasting the different tapas prepared by our Chef. What a better way to enjoy a pool party and to get ready for the Full Moon! For more information, feel free to contact us at guestrelations@kupuphangan.com.